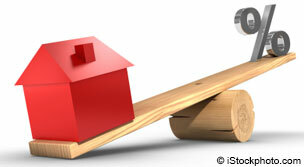 » Is now the right time to refinance? 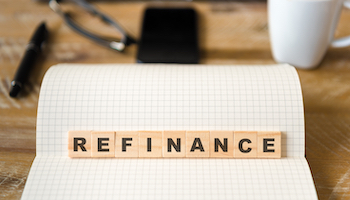 For some homeowners, it could still be a good time to refinance, but that opportunity could be quickly coming to an end. Borrowers will indeed pay slightly more than those who took out new loans at this time last year. But by any historical measure home loans remain incredibly cheap. If you can shave at least 1 percentage point from your current mortgage rate, then refinancing probably makes sense. Let's say you have a 30-year fixed-rate home loan that's charging 6.5%. Refinance at current interest rates, and you'll reduce your monthly payments by around $100 or more a month for every $100,000 you borrow. The best deal for most borrowers is the one that offers the lowest interest rate, with no points and lender fees of $2,000 or less. Our refinancing calculator can help you evaluate any offer more precisely. It will calculate how much your monthly payment will decrease and how long it will take to recoup any fees and closing costs. Property values have increased in most parts of the country, boosting the amount of equity homeowners hold. 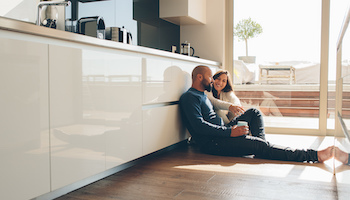 The more equity you have — the difference between the balance on your current mortgage and your home's current market value — the easier it is to refinance. Borrowers with good credit and 20% equity can qualify for a conventional loan, which is the most common, and usually the cheapest, way to go for most borrowers. The average cost of a 30-year conventional loan was 4.88% in February 2019, according to Ellie Mae, a California-based mortgage technology firm whose software is used by many lenders. Borrowers who successfully refinanced their homes had an average FICO credit score of 735 and 37% equity. 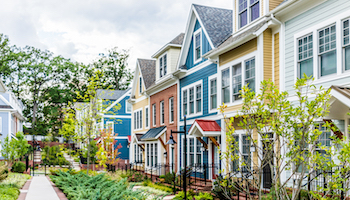 You can refinance with an FHA loan even if you have little or no equity in your home, a much lower credit score or higher debt than lenders usually accept. The Federal Housing Administration, a division of the U.S. Department of Housing and Urban Development, doesn't actually make loans. It guarantees that private lenders will be repaid, even if you default. But you'll pay for that guarantee in the form of up-front and monthly mortgage insurance. With the government standing behind you, banks and mortgage companies can make loans they wouldn't normally offer at competitive interest rates that could cut your monthly payments by hundreds of dollars. Borrowers who successfully refinanced their homes with an FHA loan had an average FICO credit score of 663 and 21% equity. Here's where to learn more about the three most common options for refinancing your home with the FHA's help. An even better option is to refinance with a VA loan, which we consider to be the best mortgage program around. With the Department of Veterans Affairs standing behind these loans, they're also less risky for lenders. That means you can have a lower credit score and less home equity than you'd need for a conventional loan and, in some cases, a higher debt-to-income ratio. Indeed, you can have no equity and qualify for a new mortgage, and there's never any mortgage insurance required with a VA loan. The average cost of a VA loan was 4.66%, or about a quarter of a point less than for conventional mortgages. Borrowers who successfully refinanced their homes with a VA loan had an average FICO credit score of 693 and 10% equity. Here's where to learn more about the three most common options for refinancing your home with the VA's help. A little more patience is the one thing you'll need, whatever type of loan you decide to pursue. Lenders are now taking an average of 43 days to process refi applications. And before you decide on a lender, make sure you shop around for your the best deals out there.